Juventus superstar Cristiano Ronaldo has beaten longstanding rival Lionel Messi to an impressive Ballon d'Or record. The 33-year-old was named as one of the 30 nominees for this year's Golden Ball. 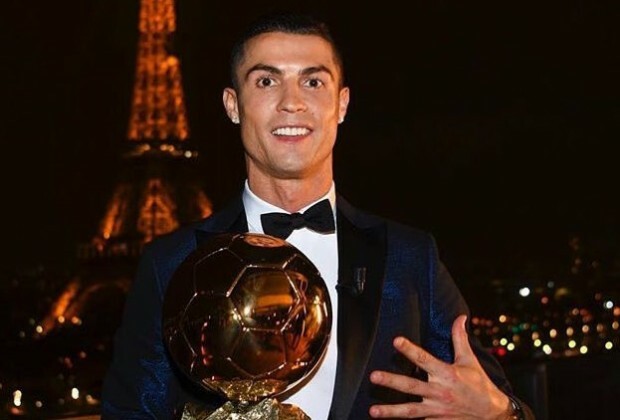 As a consequence, Ronaldo became the first player to be on the shortlist for the coveted prize for a 15th successive year, according to France Football. His longstanding rival Messi follows in second place after receiving his 13th consecutive nomination. Both have won the Golden Ball five times, with the award handed out as the FIFA Ballon d'Or between 2010 and 2015. It remains to be seen if either of the pair will lift this year's accolade, with Luka Modric considered the favourite after already being named UEFA Player of the Year and FIFA's The Best Men's Player 2018. Whoever is doing this comparison must be very high on weed..................Ronaldo started his professional career in 2002 and Lionel Messi in 2004 and yes to top that Ronaldo is two years older than Lionel Messi. So, I don't get your 'irrelevant' remark. So, for someone like Messi who debuted two years later than Ronaldo will obviously need two more years for this same comparison. Was Ronaldo listed in the Ballon d'Or nominations in 2002 and 2003? No. Why? because Ronaldo was starting his career, just like Messi was starting his career in 2004 and 2005. Ronaldo has obviously played two more seasons than Messi, so I don't get your stupid argument. If they both played the same number of season and Ronaldo was nominated more than Messi then it is relevant.